We cannot tell you how perfect Vidadish is for mom and baby! While it is certainly nice to have an excuse to eat for two, if you over do it while you’re pregnant, you will not be happy when baby comes! Having a new baby in the family can be a stressful and emotional time, the last thing you should worry about is your extra pregnancy pounds, and how to lose them. Pack N Plan your day with healthy meals and snacks, always at your finger tips. It’s a great way to keep nausea at bay during your pregnancy months, keep your metabolism running for extra energy, and keep your pregnancy weight gain in check. 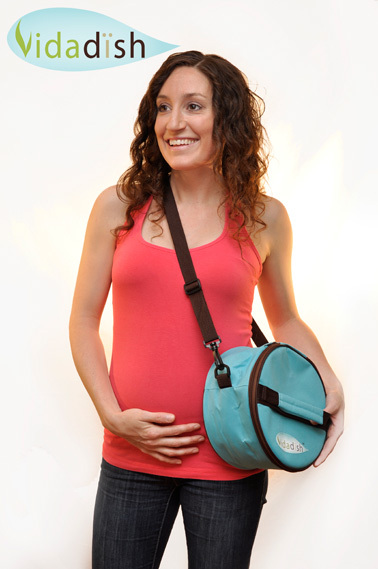 After baby comes, Vidadish fit’s perfectly in your diaper bag, so you can eat when baby does! Vidadish will help you drop your baby weight gain quickly, safely, and easily. Vidadish is the perfect weight loss routine for all pre and post natal health conscious Moms!